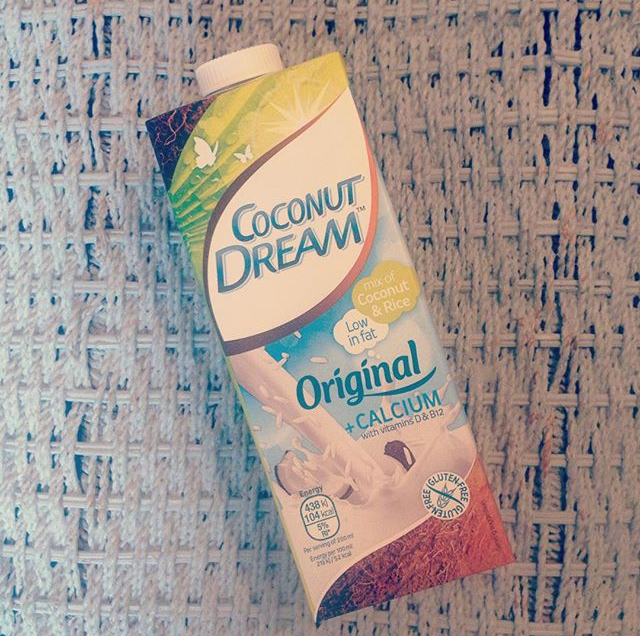 Coconut Dream is (as almond milk is) low in fat & easy to digest as it is naturally lactose free. It is also enriched with calcium and vitamins D2 & B12. Coconut Dream is the perfect choice for vegans, vegetarians or for use in kosher dishes. It tastes yummy (just like coconut) and it’s also refreshing as a cold milk drink or used in smoothies as a healthier non dairy alternative. It’s 100% natural, this non-dairy drink is made with the finest coconut cream and Italian rice. It’s a big thumbs up from me, give it a try you might like it! I picked mine up from Tesco, you can also buy it at Asda and Sainsbury’s.